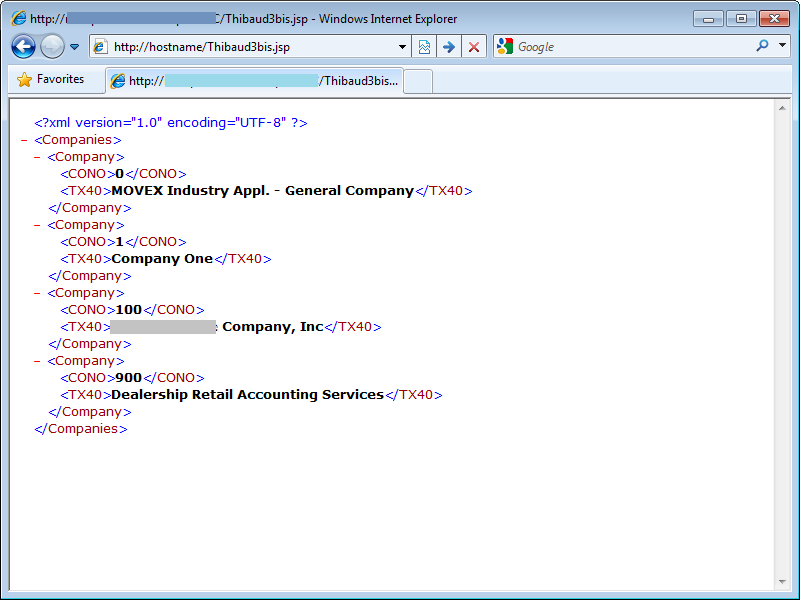 Here’s a sample Mashup source code to display the result of a REST Web Service in a ComboBox. Note: How to produce the above XML is outside the scope of this post. 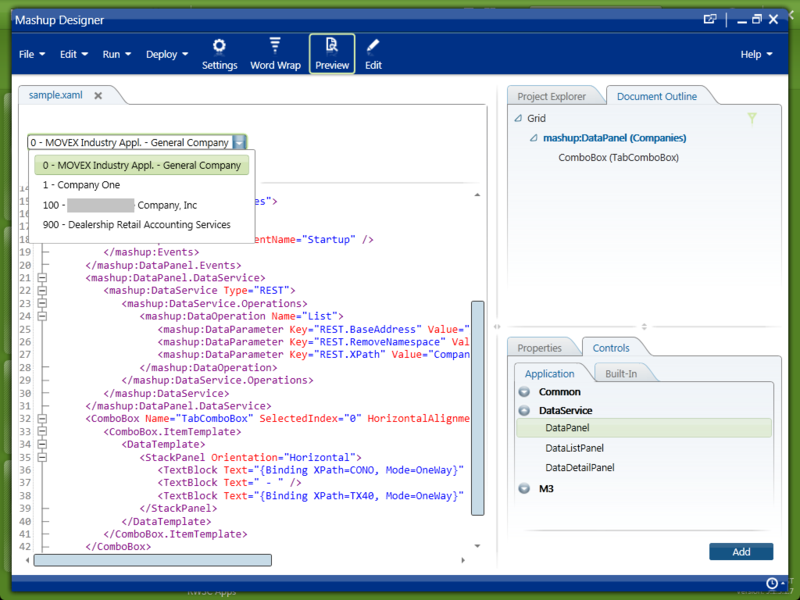 This particular XML is produced with a JSP querying the M3 table CMNCMP with JDBC. In the Mashup Designer, we use the mashup:DataPanel control to call the REST Web Service. How to use that DataPanel is outside the scope of this post, but there is an example in the Mashup Designer > Help > Data Services. This solution was great for getting Yes/No functions in M3 handled as a Output/Input option within my Mashup like below.